it's lovely, but who stole my documents. so I have no guarantee, ? 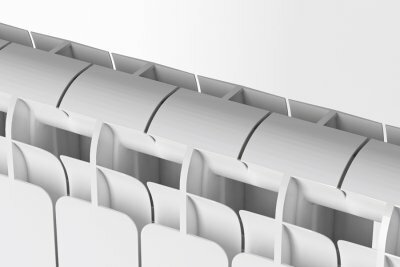 Please see above for the link to register your radiator for the guarantee. Heater Shop were brilliant, but where are my documents, someone stole them. Thank you for your review of our service. 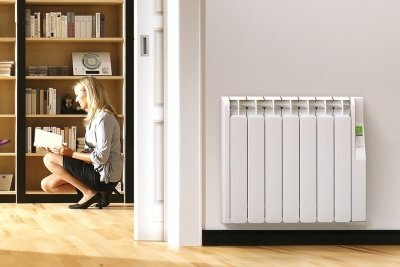 With regards to your missing guarantee - you will need to register your new electric radiator online for the guarantee as it does not come supplied. I hope that this has solved your missing documents query and if you need any further assistance or are unsure of anything please call us on 01473 276686. Look good but will have to see if they live up to expectations when they start being used. Thank you for review. Unfortunately DPD only insure their drivers for kerbside delivery. Your special instructions were to bring the parcel to your flat on the second floor by the lift, not to leave the heater at concierge and to phone you when on site with a mobile number listed. The delivery driver did call you on the number provided, but due to only being insured to deliver kerbside only as stated in our terms and conditions the delivery driver is simply not able to take parcels into your home. If a specialist delivery service is required, please contact us so that arrangements can be made. I do understand that this did not meet your expectations, and I will ensure that our delivery service is made more clear to all customers so that we can prevent any disappointment in the future. 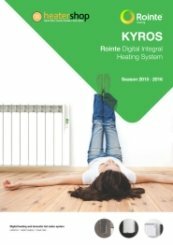 The Rointe Kyros series really are great radiators, thank you for your review. Thank you very much for your fantastic review and great comments of our service. I have had three of your radiators in the past and cannot fault them when my boiler packs up and I am left cold. These fit the bill wonderfully. This radiator replaced one that stopped working. Could not fault your service, nor your delivery instructions. Thank you. Sorry for delay but your salesman knows about my brothers problems and unfortunately although he thought he was ready to come and replace my faulty heater he was not. This was finally unpacked and installed in my bedroom in readiness in case my boiler packs up to give me secondary heating. Your salesman was most helpful and very patient. 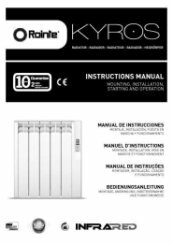 Fantastic, thank you very much for reviewing both our service and your new Rointe Kyros electric radiators as excellent, we appreciate your really great comments. Thank you for reviewing us with a 5 star excellent rating, it is very much appreciated. Thank you for taking the time to review us as excellent. Our packaging has been developed to prevent any damage whilst in-transit as much as possible - avoiding damages and returns where we can. 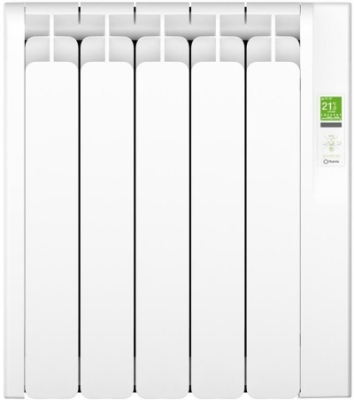 The Rointe Kyros electric radiator is a really great heater, thank you very much for your valued feedback. seem to be good ,only fitted them last week tho!look good! That is great. 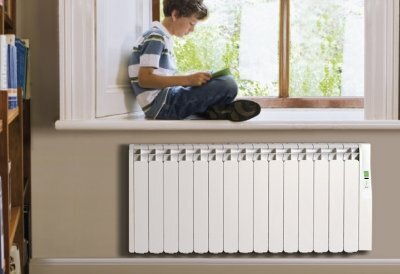 Thank you very much for taking the time to review us and the Rointe Kyros electric radiator. this is a substantial unit which has lived up to the spec. installation was very easy. the production finish lets it down - slight scuff mark and the fins are not 100% in line with each other however not anywhere poor enough for me to return it! Overall it is very good value for money. Many thanks for your feedback, our website and process is very important to us and any information you can give to assist or improve is really appreciated. Excellent value and heating just what I wanted. Compact as well. Thank you ever so much for your wonderful comments, we appreciate it greatly. Unfortunately the remote is a separate multi-functional bi-directional luxury product in its on right and, as such the manufacturers supply it separately. Very efficient. All the rads look really smart and attracting a lot of interest from friends. 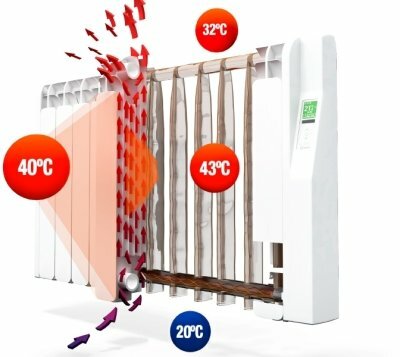 Same applies to all the rads and panel heater. Thank you for your excellent rated review, we appreciate it very much. 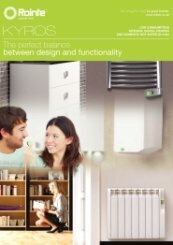 Thank you for taking the time to review us, and your new Rointe Kyros electric radiator as excellent. 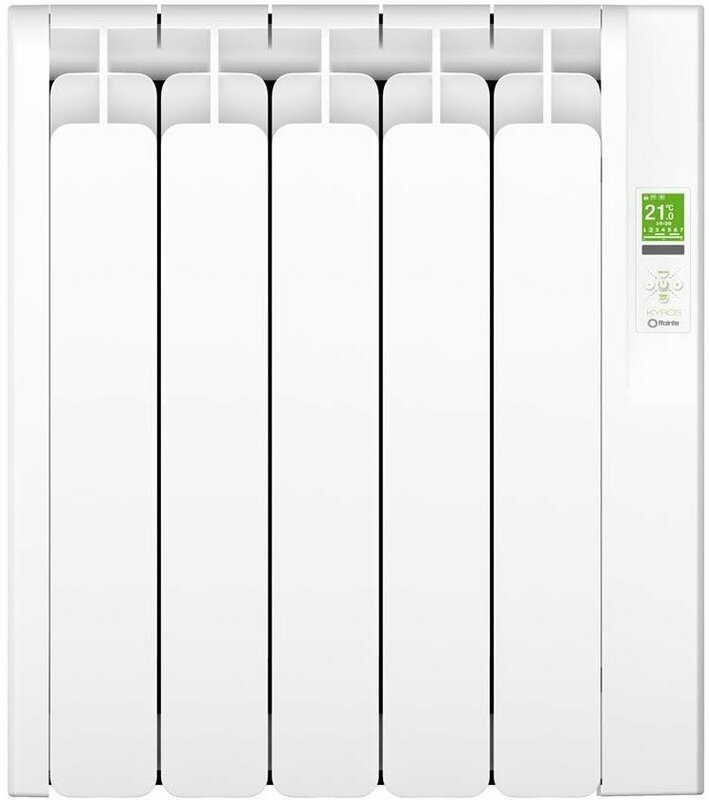 Thank you very much for reviewing us and your new Rointe Kyros electric heater as excellent, it is very much appreciated. Fantastic, thank you very much for your great review. We try very hard to ensure that our service continues to exceed your expectations. Thank you very much, you review is appreciated greatly. Great website, easy to pick delivery day and telephone enquiry was handled very well. A phone call to double check delivery day and a follow up to make sure I was happy with the order was hugely appreciated. Thank you for your fantastic comments. Our customer service team works very hard to ensure that all of our customers are kept informed and happy. That's fantastic, thank you for your feedback. I appreciated the courtesy call the day after my order arrived at my address to see whether my order had been for filled in full . Next day delivery and a follow up call, great service! We are pleased to hear that you are happy with your purchase and the service provided. Thank you very much for your feedback rating us excellent for both service and product, we appreciate this very much. That's really great to hear, thank you for your fantastic feedback. Super, we hope to see you again. Really good, personal service, fast delivery. Very helpful. Thanks you very much for your positive review, hope to hear from you again. Good service, but why advertise goods on your website when you don't have them for sale? Unfortunately items sometimes do go out of stock, and on these rare occasions we will always offer an alternative product of equivalent quality or better. If you are unhappy with this after ordering online, we will always offer to cancel the order prior to debiting your payment card. This is our second radiator because our first one did a really good job. Spot on. Delivered when they said that they would. Packaging good, no faults. This is our second order from them and their service seems consistent. We appreciate your repeat custom and value it very much. We look forward to any future help that we may be able to offer you. Excellent service and the product arrived the next day. Thank you for reviewing us as excellent. Our free next day delivery is very popular. I have the heaters already and am very happy with them. Heater was delivered one day later than planned, but no problems. 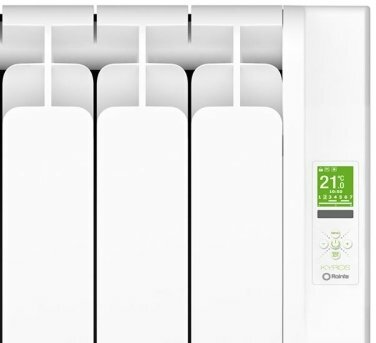 Thank you for taking the time to review us and we are very pleased that you are so happy with your new Rointe Kyros 550W Electric Radiator. Thank you for your great comments, and we very much look forward to hearing from you again in the future. Very good. Original radiator not in stock so was offered alternative product. The Rointe Kyros is a really great alternative to the K series. So easy to fit - definately warm, too early to say about running costs. It was what it said on the box but have not been using it long enough to give an honest opinion. The company kept us fully informed and the product was delivered when promised. Couldn't ask for any more. 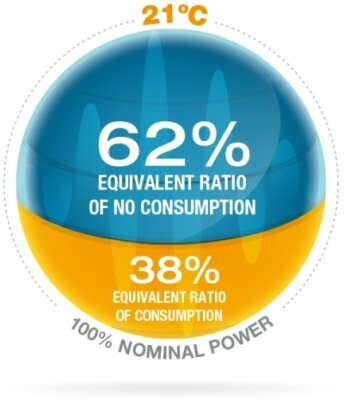 Keeping our customers happy and informed is of the up most importance to us. Thank you for rating both service and product as excellent. Brilliant service. Excellent company, product, price, communication and delivery. Highly recommended. Thank you very much for your kind words and recommendation. We do genuinely try and offer a high level of customer service and it is very nice to read your great comments. Thank you for your comments. If you need any technical assistance, please do not hesitate to call us on 01473 276686. Thank you for taking the time to review us. We will certainly pass on your fantastic comments to our carriers. Not easy to get the hang of the programming but when you do the product works very well. Very helpful and very prompt service. Did just what they say they would. Thank you for taking the time to leave feedback, it is very much appreciated. This is the 7th heater I have purchased. I havent tried this one as yet still having building work done, but if its like the other ones I have there will be no complaints from me. Thank you. 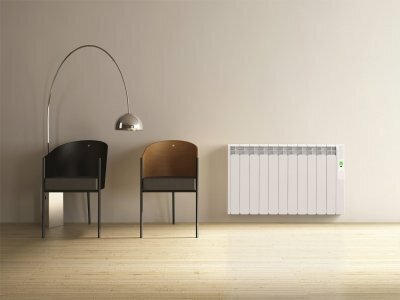 The Rointe Kyros Electric Radiator is a fantastic product. Failed promise to call with a delivery ETA . Very helpful. Quickly rectified an issue with my payment card. That's great, thank you for taking the time to review us as excellent. Communication was excellent, staff very helpful.